It’s springtime and things are blossoming in Corville. The grass is cut and students are back playing in the field. Our garden is in bloom and birds are chirping. The mornings and evenings are brighter. It’s a time for planning for big projects ahead! 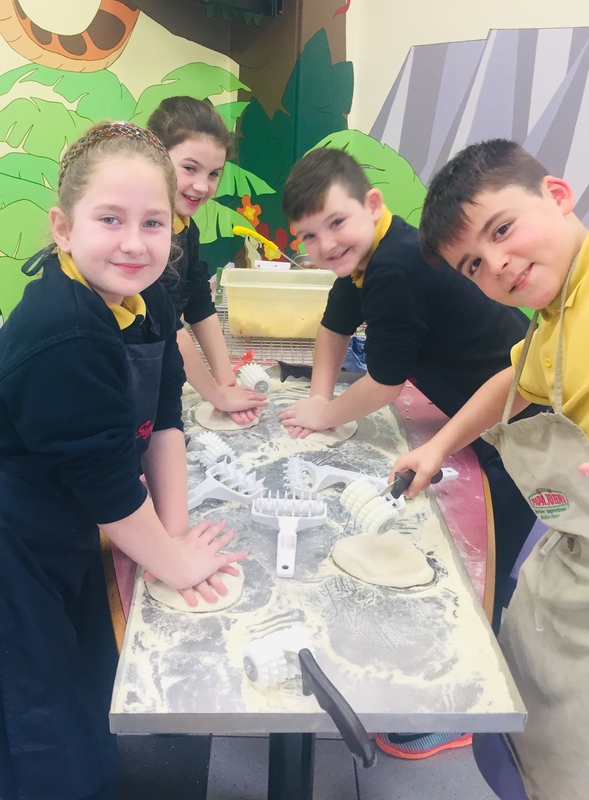 The 2nd half of the year in Corville will be very busy so let’s take a moment, on our mid-term break, to catch our breath and look back upon what has been happening in the school since we returned in January. 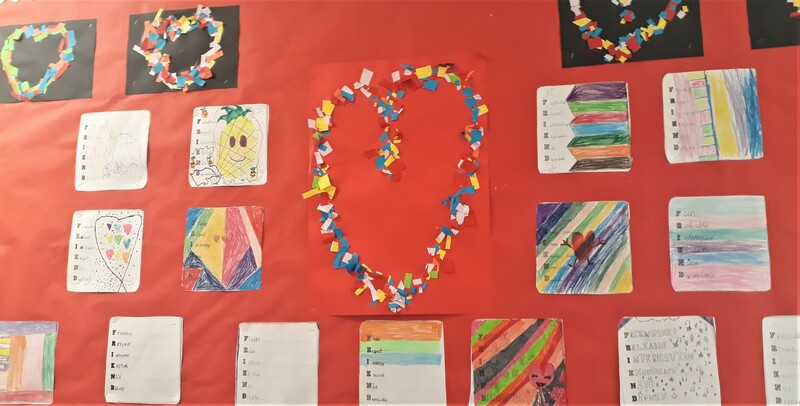 All You Need is Love: we celebrated St. Valentine’s Day last week. 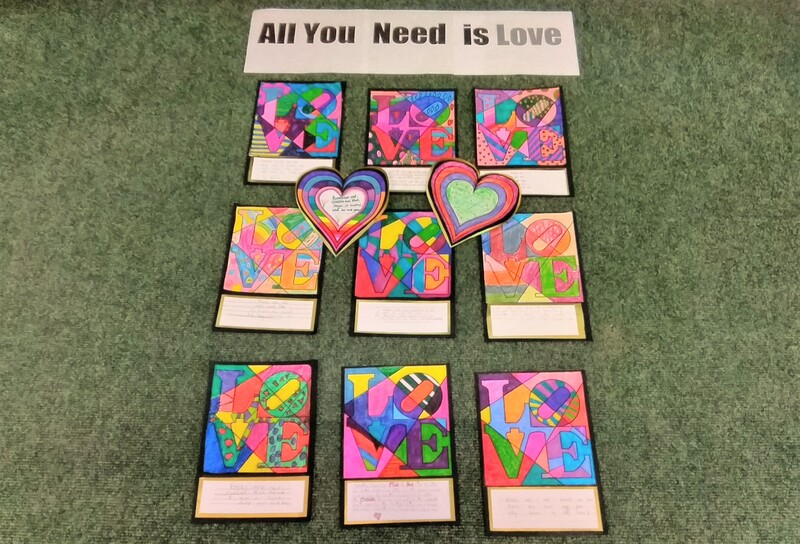 Many of our classes put together lovely projects on the theme of love. 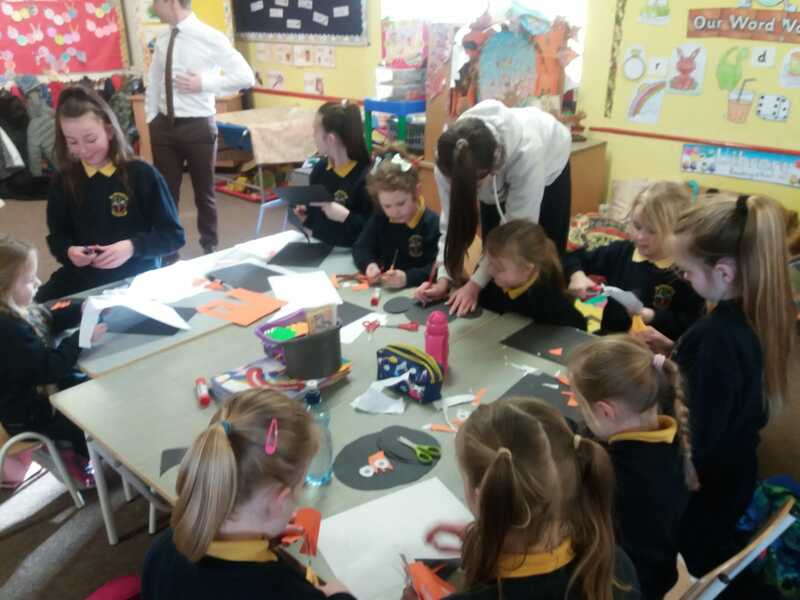 Our junior infant classes were very keen to create Valentine’s Day cards to give to their mammies and daddies! 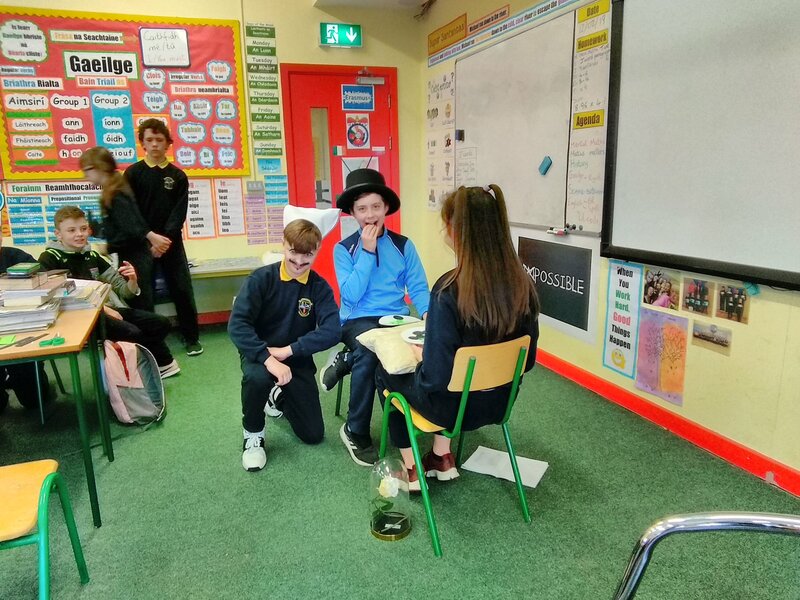 Luke ‘Ming’ Flanagan visits Corville! 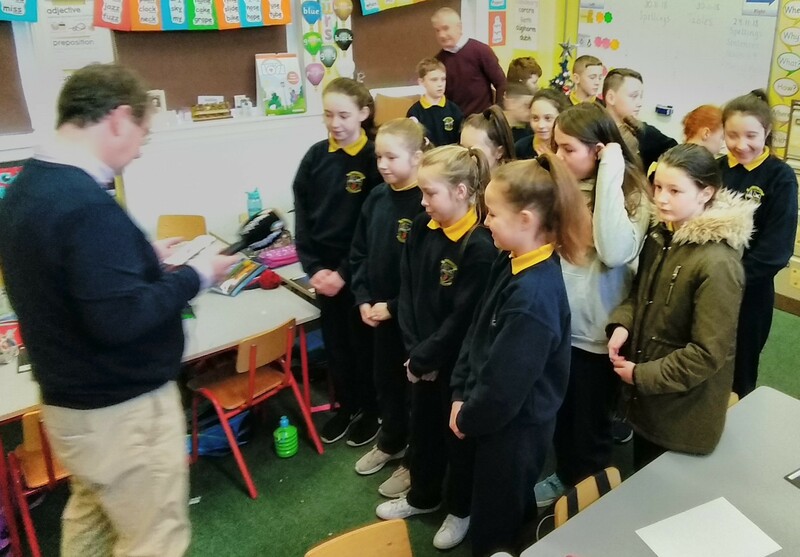 On Friday the 1st of February, Corville N.S. held ‘Europe Day’. 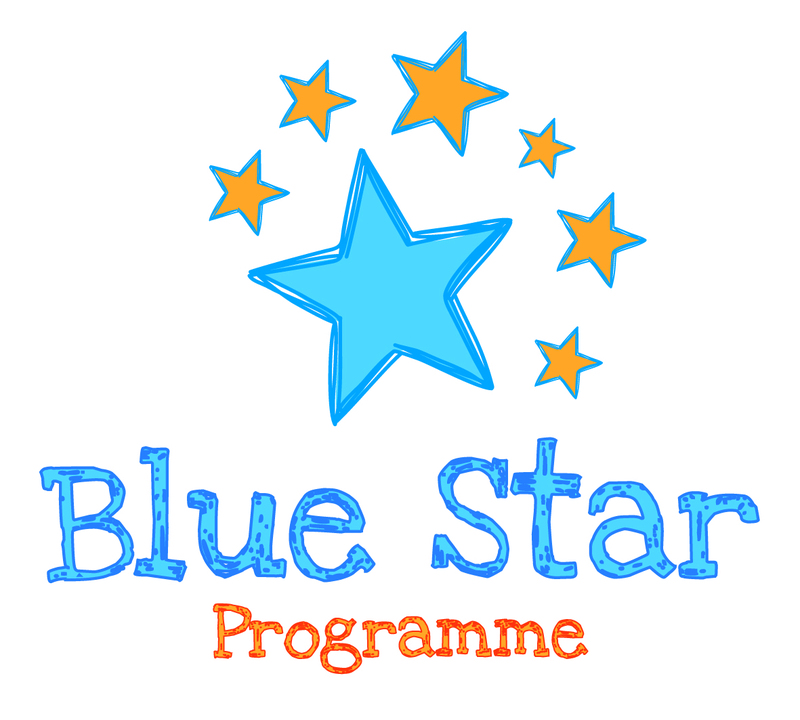 The school is participating in the Blue Star Programme which celebrates the European Union, its culture, history and government. 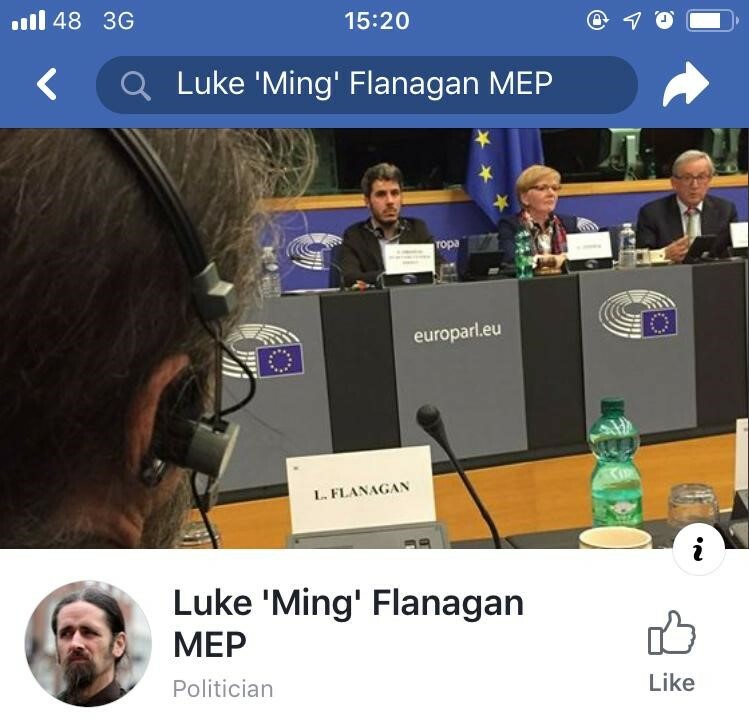 We were lucky enough to welcome MEP Luke ‘Ming’ Flanagan to our day. He spoke to the pupils, teachers and parents of Corville school about important European matters. He told us about his life, his work and taught us to never give up. We presented him with a special tea cosy of himself! 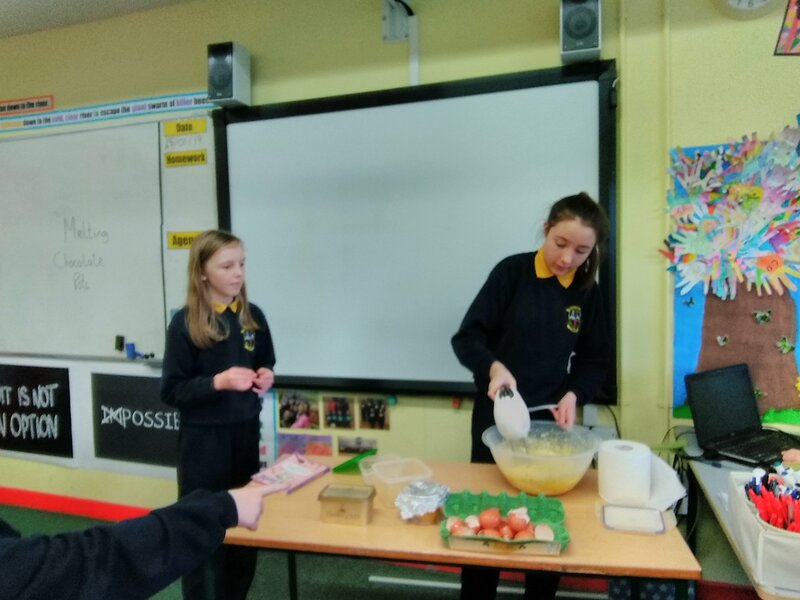 We raised a European Union flag and held a European food fair. The Food Fair was called ‘Come Dine with Ming’. 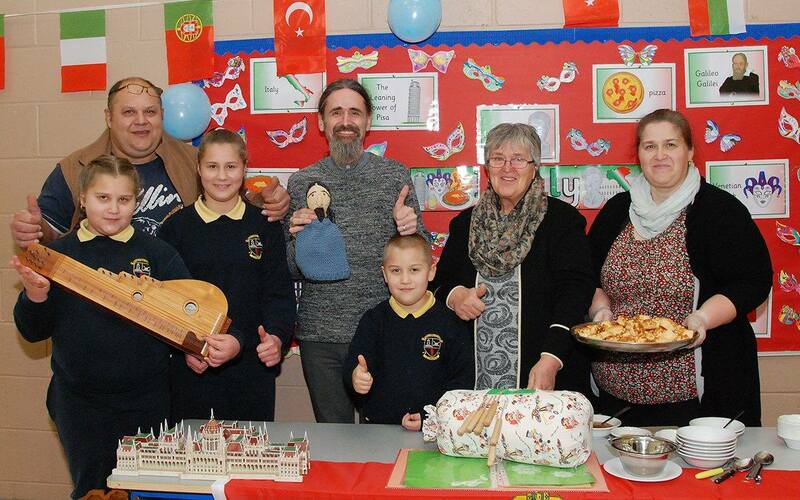 The children brought in food from all over Europe including goulash, crepes, lasagna and much much more. 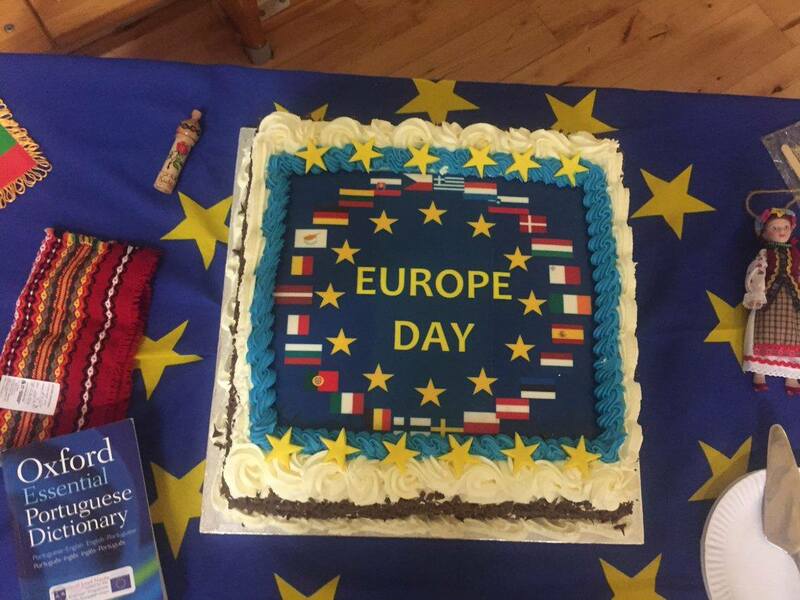 We all got to ‘meet and eat’ together to celebrate Europe. It was an exceptional day, one we will never forget! 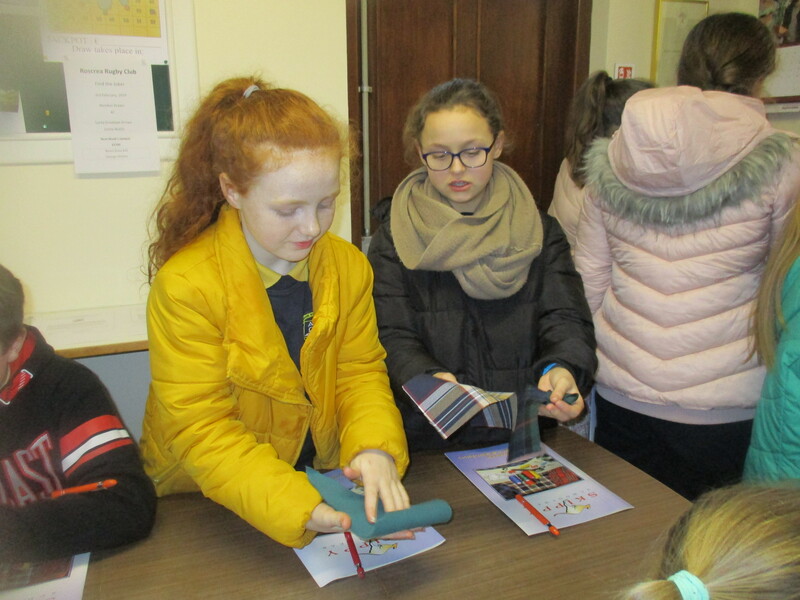 This event was held in conjunction with the Schools Erasmus project. 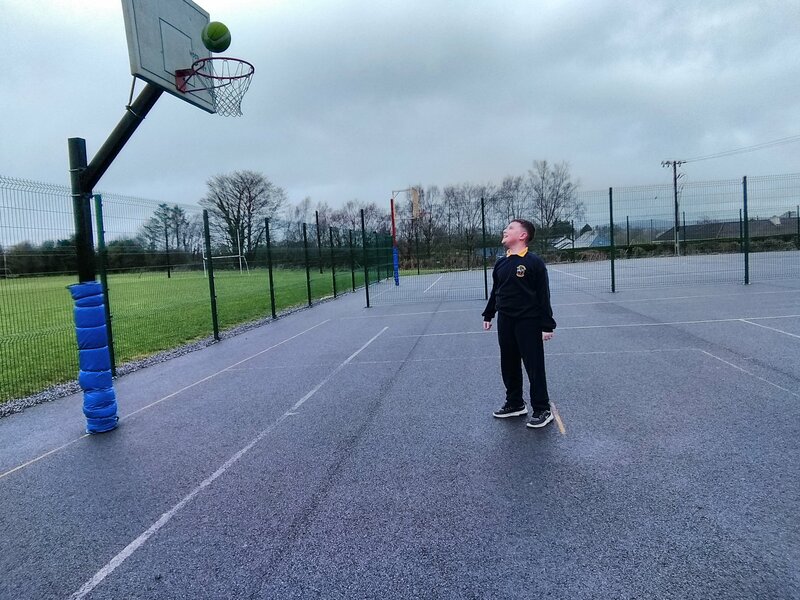 Sport in Corville: January and February are quiet times in school with regards to tournaments but that certainly doesn’t mean we have been staying idle. 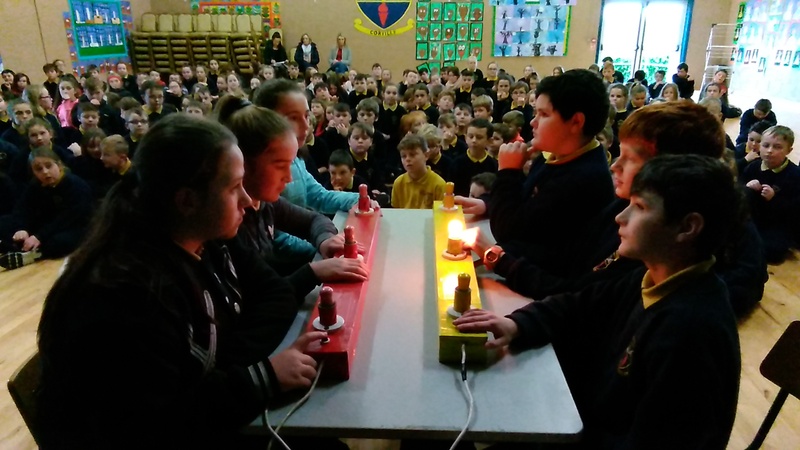 Every lunch and after school day is filled with teams getting ready for the next big school competition and March is chockablock with big tournaments. On Monday’s we have tennis and boy’s soccer after schools. Tuesday is the turn of boy’s hurling and girl’s soccer after school. On Thursday we have girl’s camogie and boy’s hurling. During lunch times we have tag rugby and soccer matches aplenty going on. We encourage all our students to get involved with sport in the school. Healthy Body = Healthy Mind. 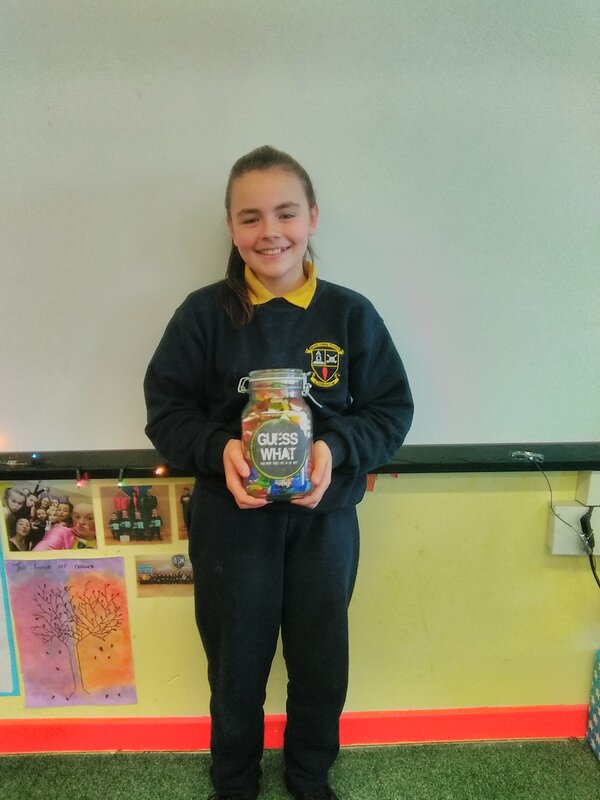 Spelling Bee: 30 students have been working hard with Ms. Atkinson getting ready for this year’s Easons Spelling Bee competition. 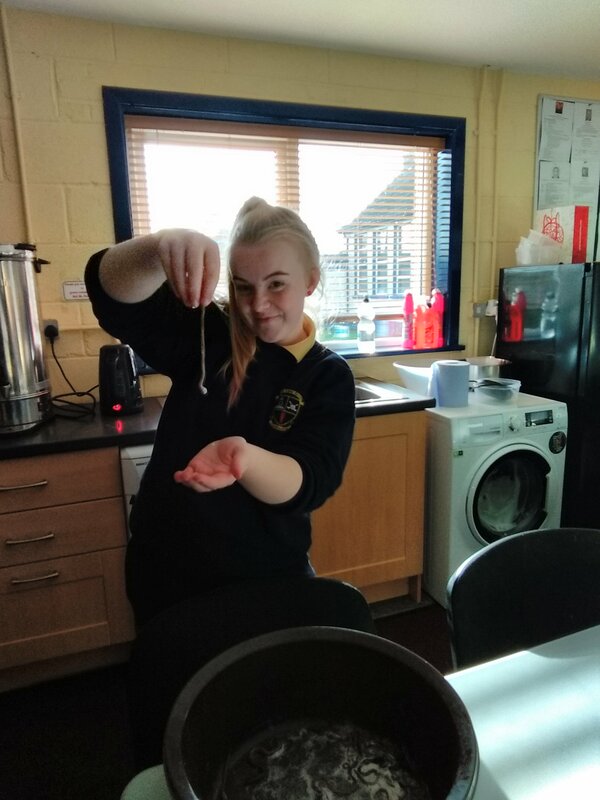 Only 1 student can represent the school so we are holding a knockout competition over the next few weeks to see who the lucky girl or boy will be. Best of luck to everyone taking part! 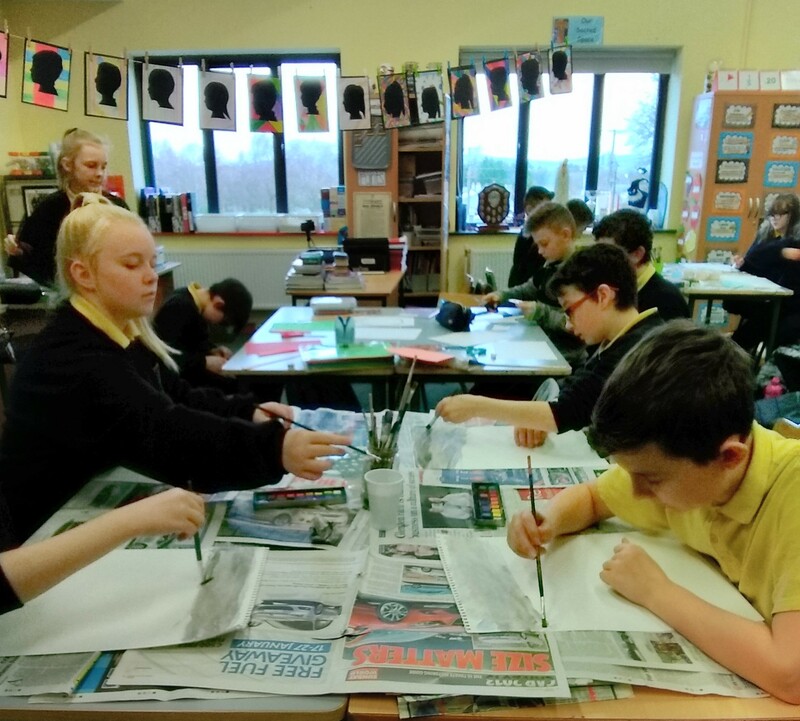 French Classes: Mr. Hogan has started a 6 week week after school French Programme with our 6th class students (Mr. Scully’s class first). 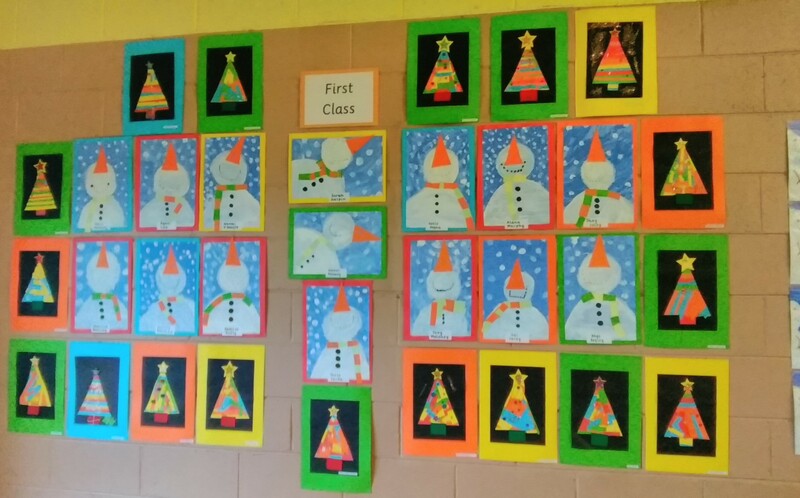 The response from our 6th class students so far has been très bien! 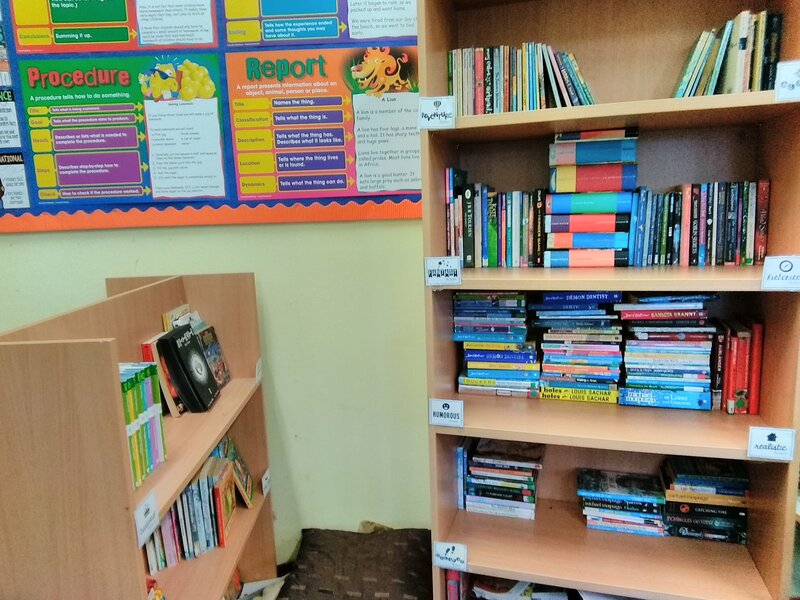 The classes take place every Monday after school and it gives your child a great head start with language learning before they enter secondary school. 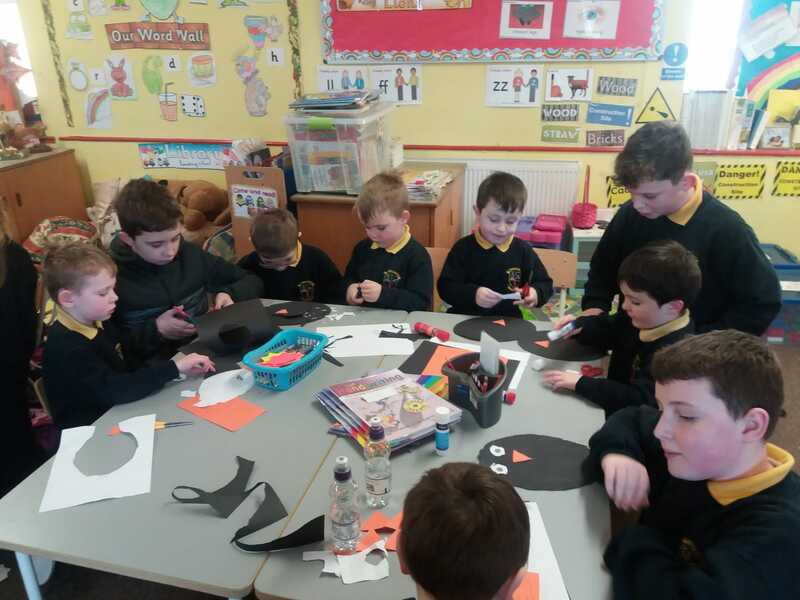 Making Penguins: Junior Infants have been learning all about the Antarctic recently. 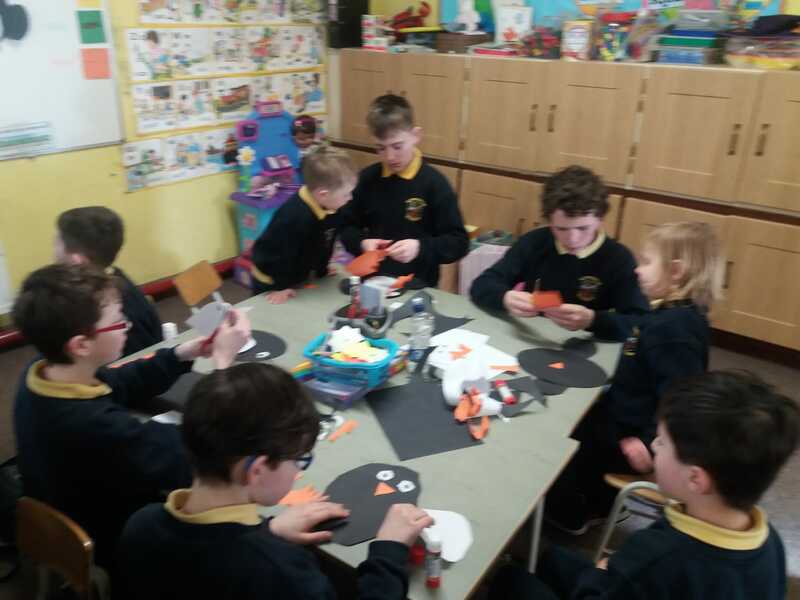 Big buddies and little buddies then worked together to make penguins for a display . 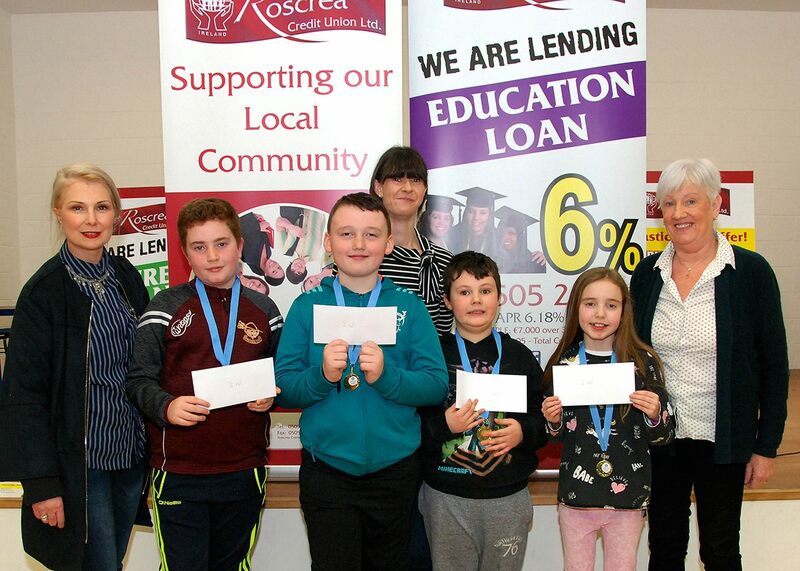 Credit Union Quiz: a big congratulations is due to our two quiz teams who took part in the recent quiz in Roscrea. Our teams trained very hard for this and represented the school very well. 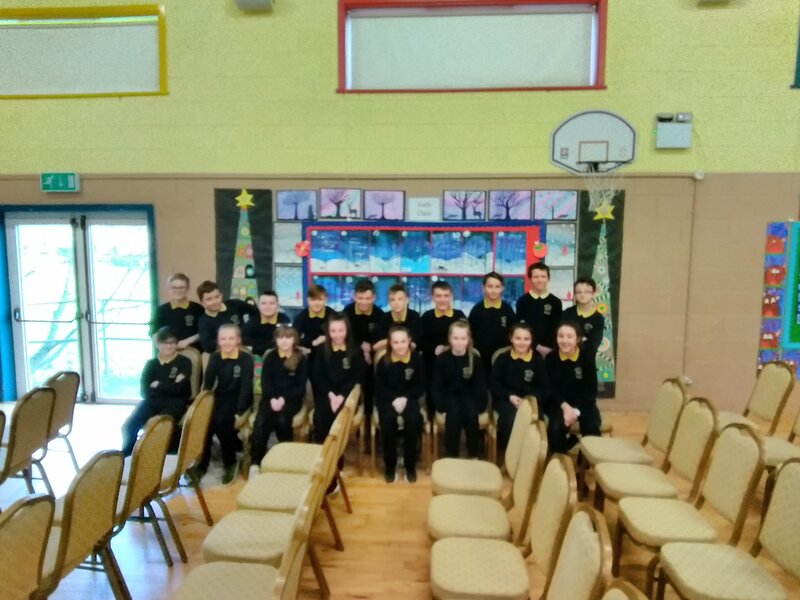 Our U/11 team (Michael, Bailey, Darragh, Rosie) came home with a team prize after finishing in 2nd overall and our U/13 team (Karlo, Senan, Sheena, Dan) were unlucky to finish just outside the prizes in 4th overall. 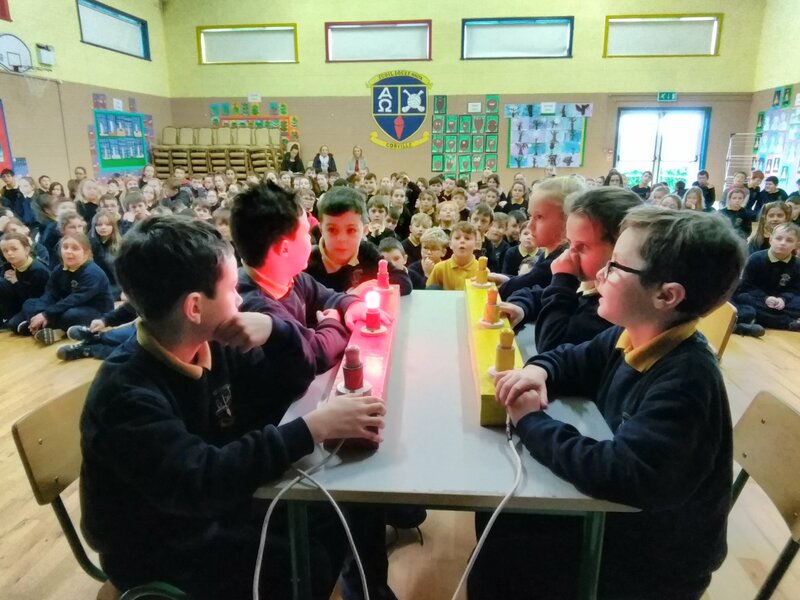 Unfortunately this wasn’t enough to proceed to the next round of the competition, but we are delighted that both teams were very competitive throughout the competition and were just lacking that little bit of luck needed on days like this. 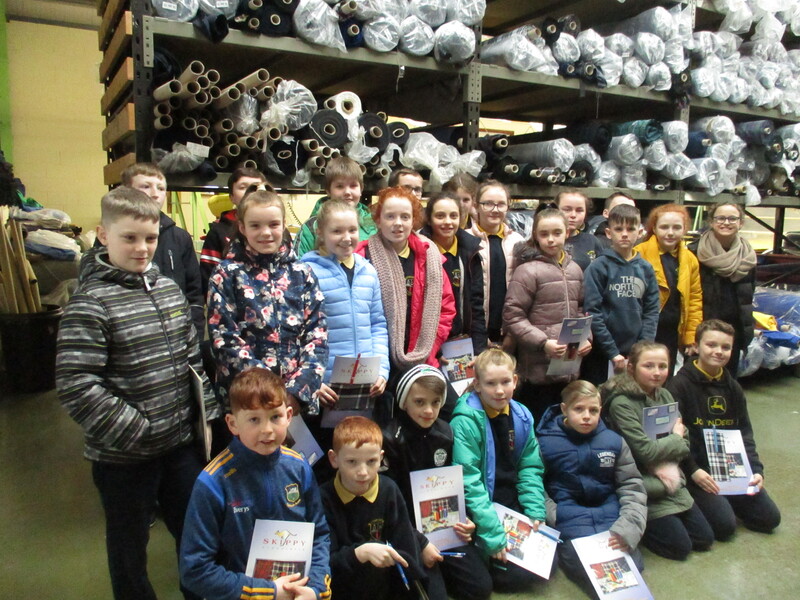 Factory Visit: On the 5th of February 2019, Ms. Madden’s 5th class visited Skippy international Ltd. Skippy’s is one of Ireland’s leading school wear manufactures and distributors.It is a 100% Irish owned family business in our local area. 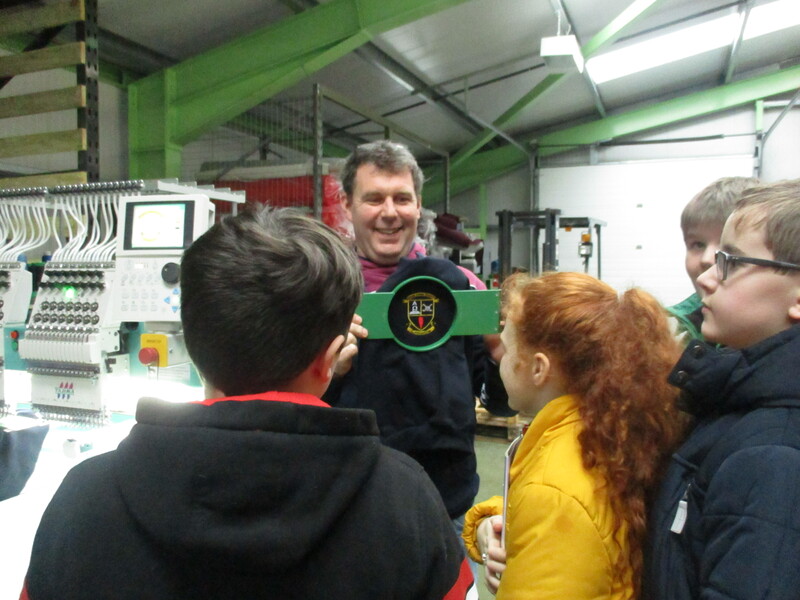 Keith and Kathleen gave us a tour of the factory and guided us through all the stages of production.We even got to see how our own school uniform is made! 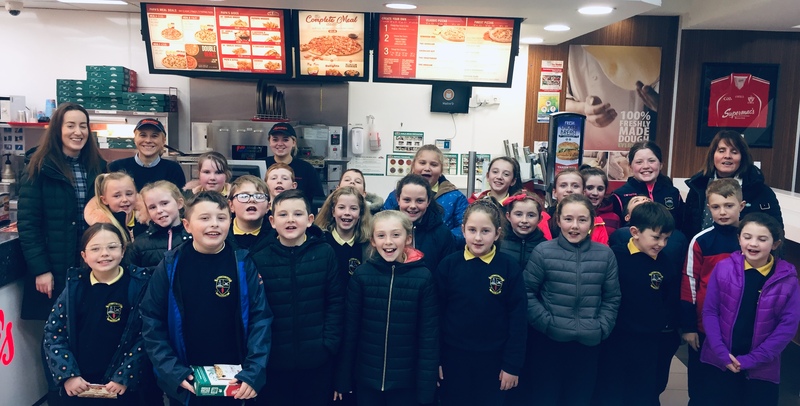 We had a fantastic time at Skippys. 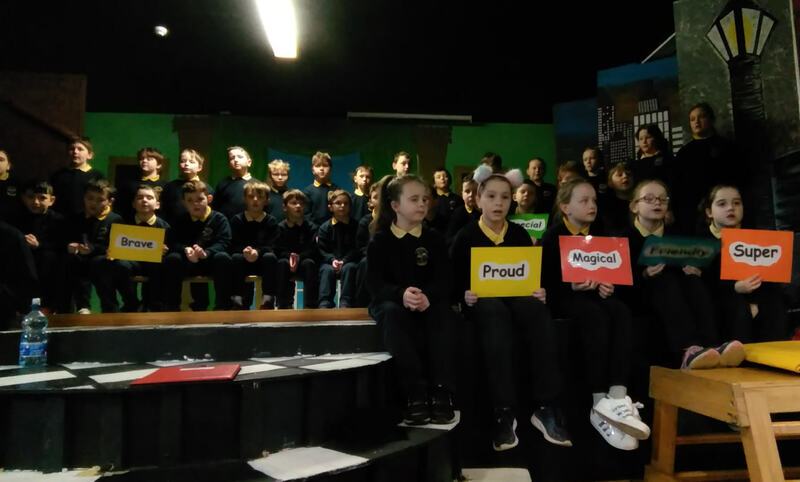 Assembly Performances: every Friday different classes take to the stage to perform a song or a dance in front of the entire school. This can be nerve-wrecking for some but it is great for boosting confidence and the performances are always great! 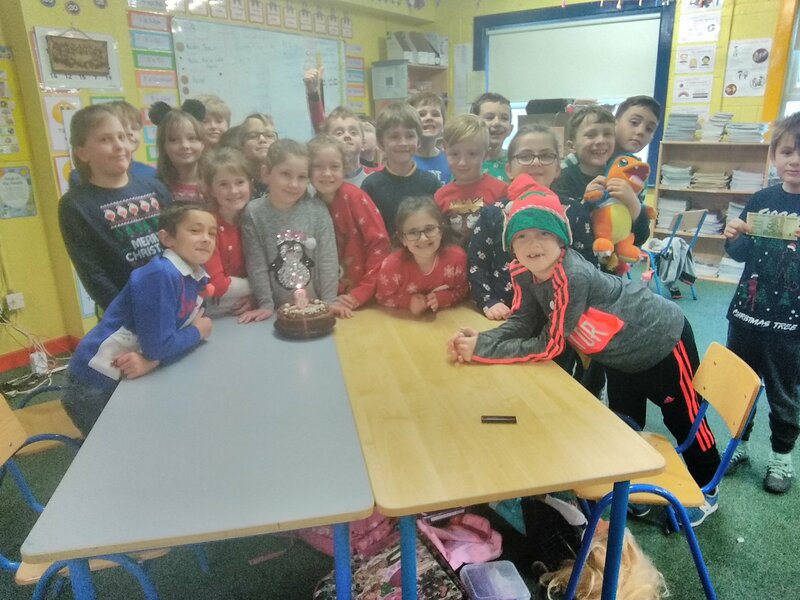 6th Class Blog: we have had a busy few weeks since returning from our Christmas holidays. 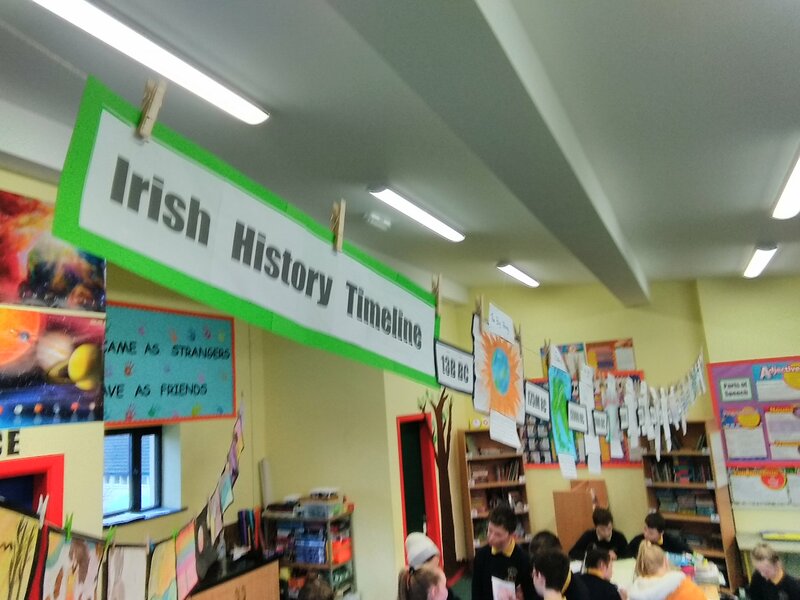 We created an Irish History Timeline, we studied Earthworms, we finished a project on the Human Eye, we practiced our basketball shooting, we have had student lessons from Niamh (Cooking) and James (Social Justice Warriors), Kelly won our latest Guess What draw and we have had tremendous fun performing a drama ‘as Gaeilge’. 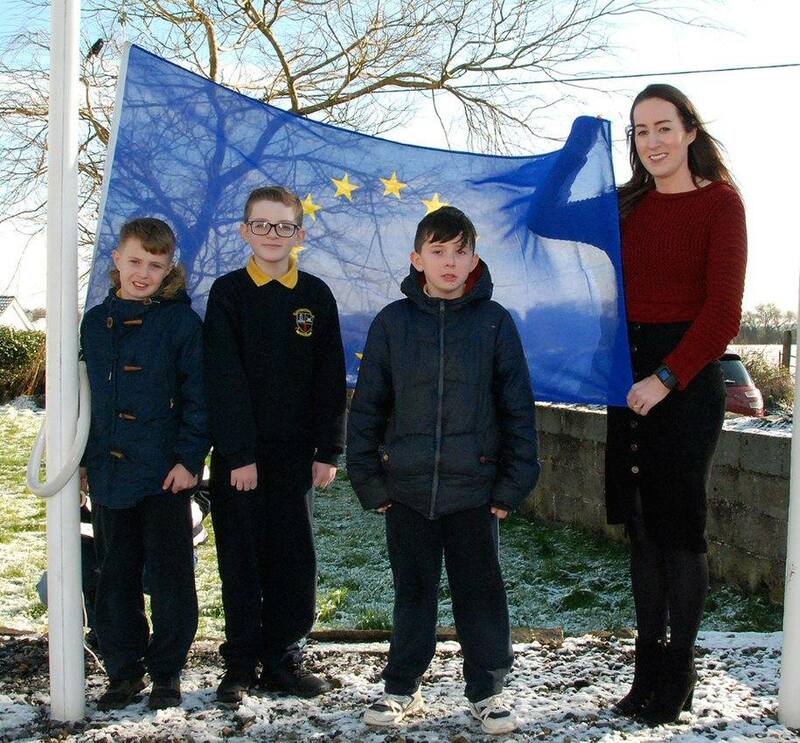 You are cordially invited to join us at 11.30am, Friday, 1 st February to welcome Luke “Ming” Flanagan; serving member of the European Parliament, who is coming to visit our school as part of the Blue Star Progamme. We are delighted that he chose our school for this epic, once in a lifetime meet and greet and hope you can join us for this momentous occasion. It is an honour to have such an important member of the European Parliament visit us. 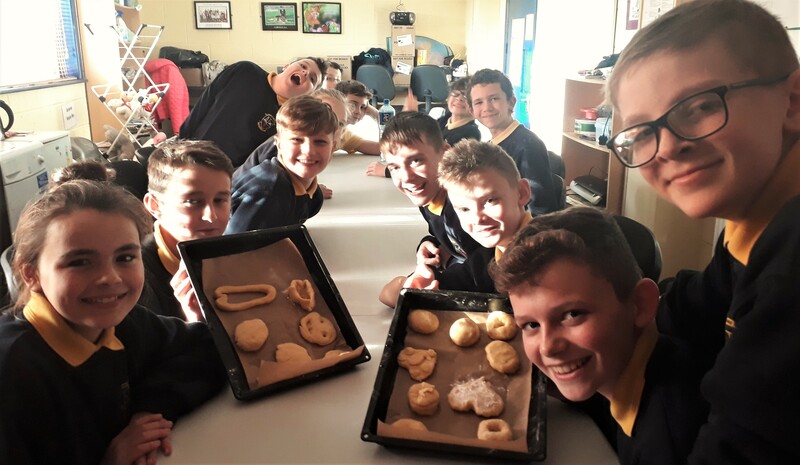 This programme is in conjunction with our Erasmus programme which has brought some of our 6th class pupils to Portugal, Bulgaria, and Turkey! 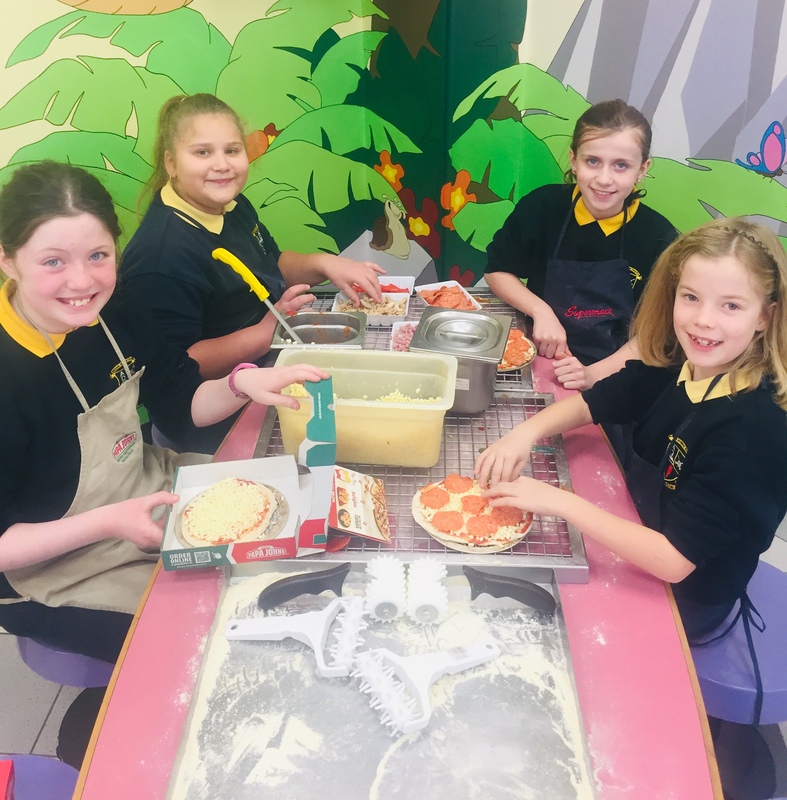 To celebrate this auspicious visit, 4th class will run a glorious and delicious European Food Fair where you will get to sample tasty Belgian Waffles, Italian pizza, French croissants and much, much more! Your child is welcome to bring in European food for the Food Fair but please remember we are a NO NUT school. We cannot guarantee specific food allergens. We are so excited about our upcoming trip to Poland in May. 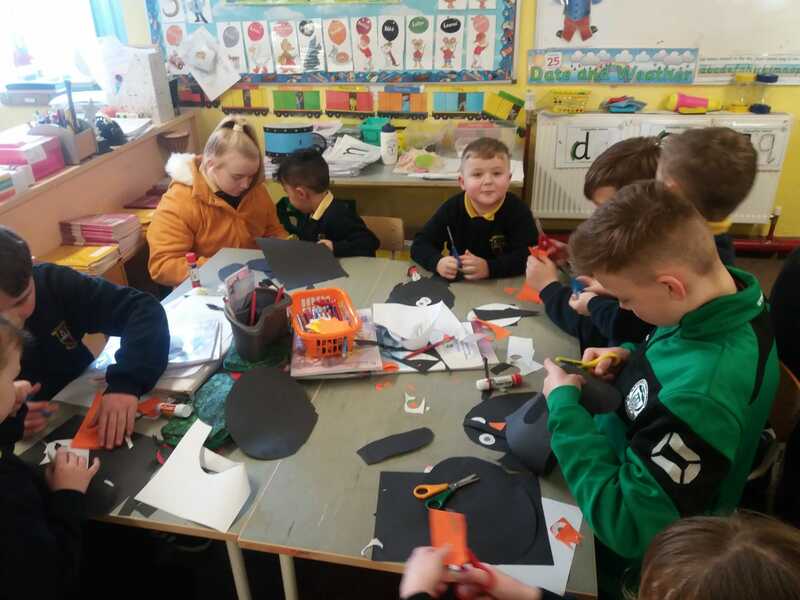 There is a jam packed week of exciting activities planned for four lucky children in 6th class. Although this will be the final trip of this particular Erasmus+ Project we are currently in the application process for our next Erasmus+ Project. 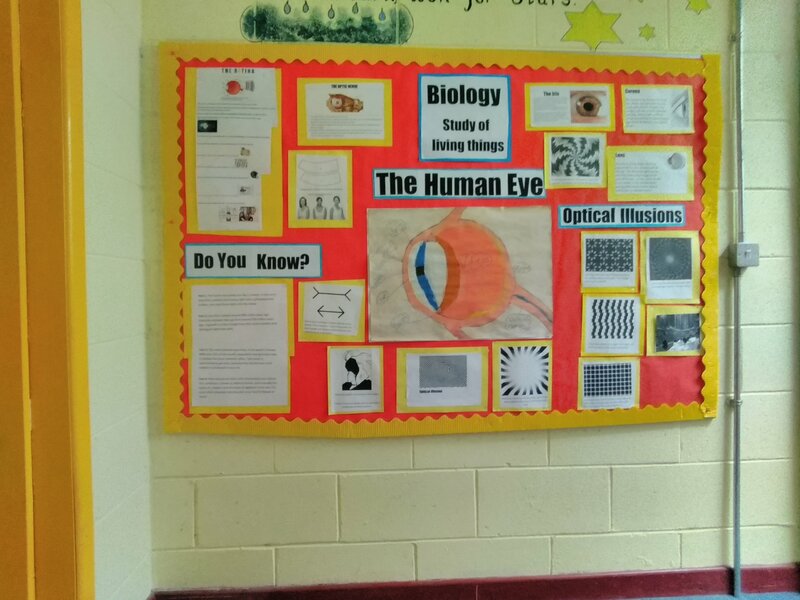 Over the next three years, this will allow the children in our school to travel to see our current partner schools in Poland and Turkey and also venture to the new destinations of the Netherlands and Greece. We can’t wait! Happy New Year everybody. 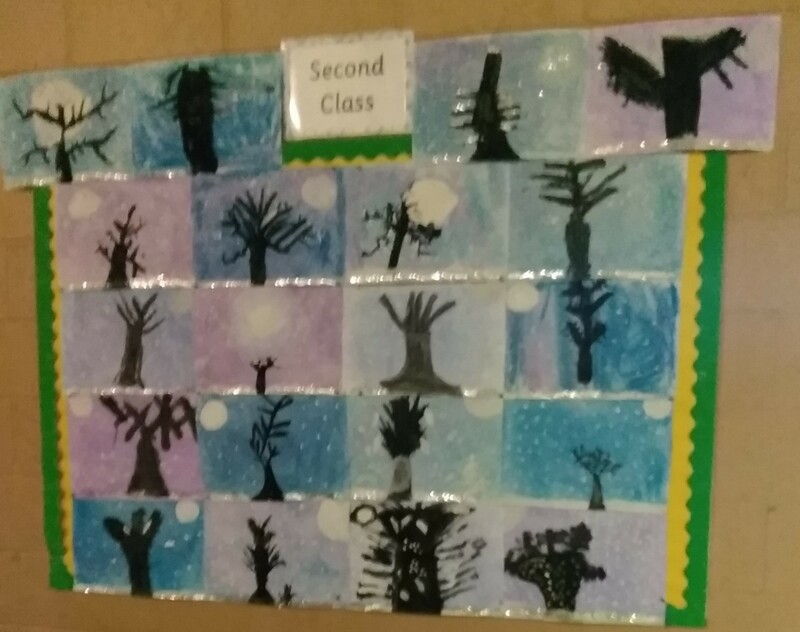 This is our first web update of Term 2. 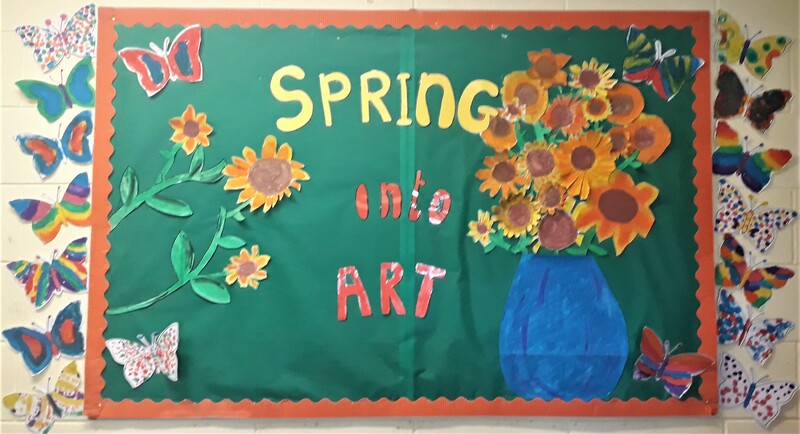 We have plenty of things to look forward to this term such as the FAI 5 a-side soccer tournament, Credit Union Quiz, Spelling Bee, Confirmation, St. Patrick’s Day Parade, a visit from MEP Luke Flanagan, hurling and camogie training starting back, art competitions plus the normal day to day excitement that comes with being a student at Corville NS. 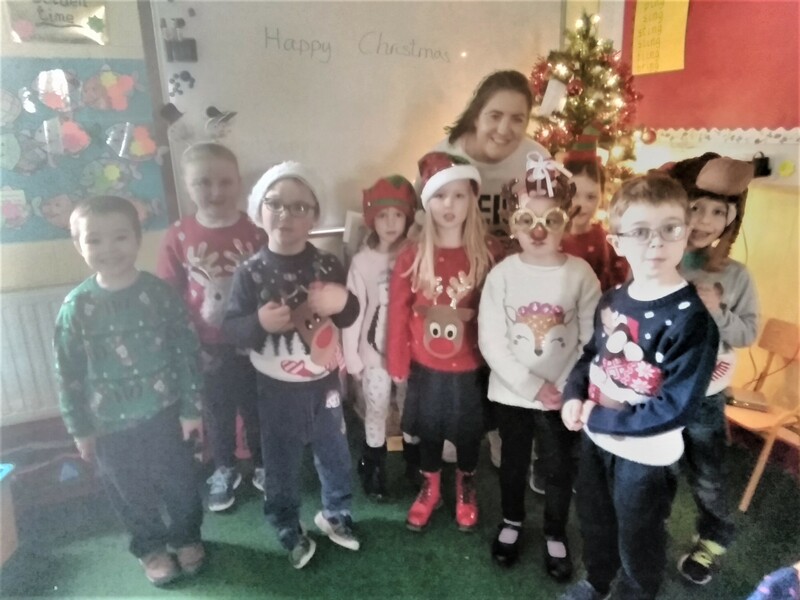 Obviously nothing much has happened in the school so far so below is an update on a few things that happened before Christmas. 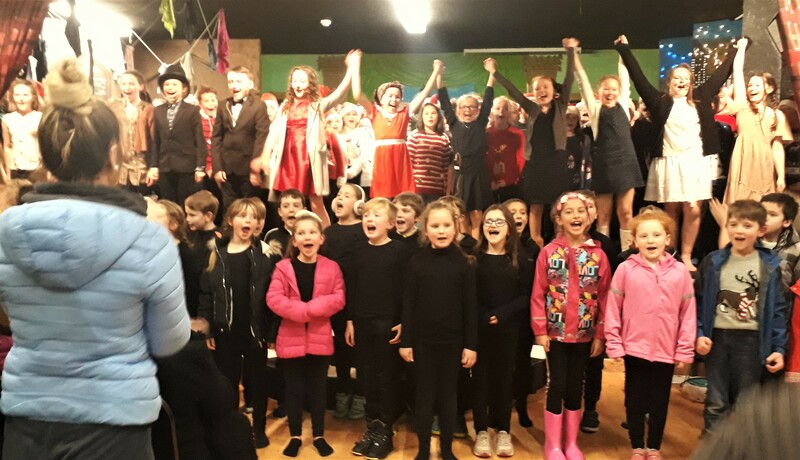 School Play: Annie Jr – take a bow all the students who took part in this year’s school production of Annie jr. It was a huge success and we got rave reviews for the quality of acting and singing on display. This could possibly be our best musical to date so well done to everyone involved. 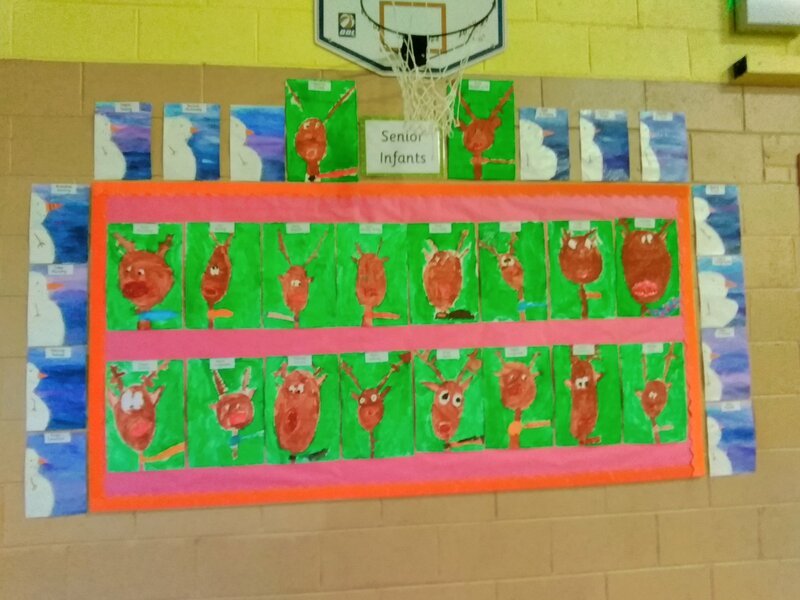 Ms. Frawley and Ms. O’Connell did trojan work to put this all together and that work certainly paid off. 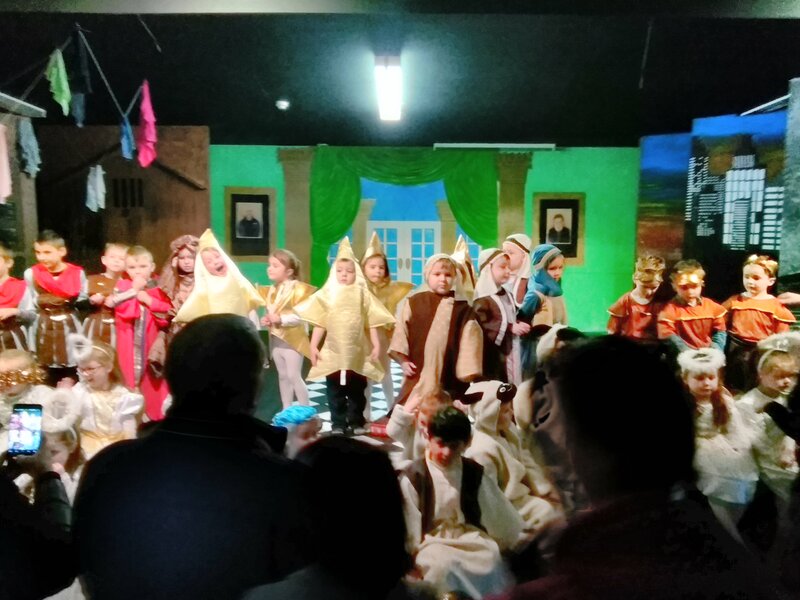 Thanks also to the Corville community who packed out our hall on both nights, giving us two standing ovations, while also helping us to raise much needed funds for the school. 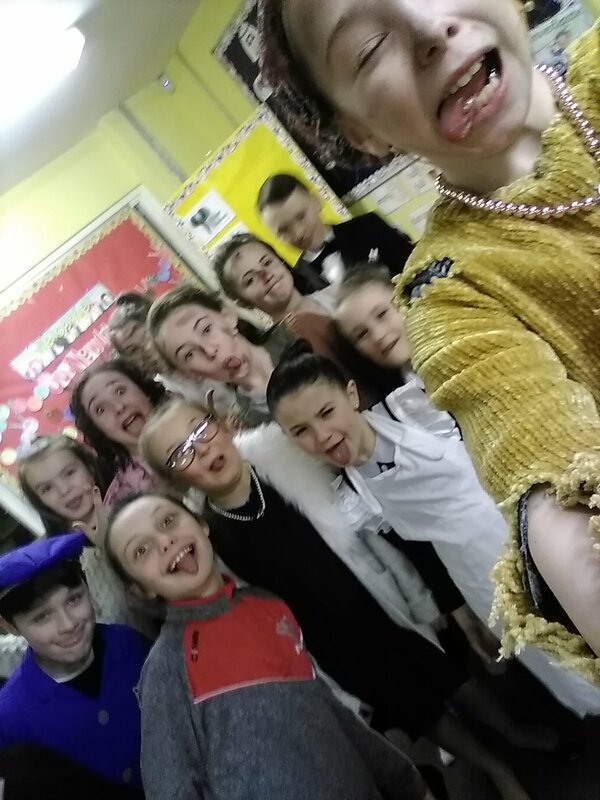 Next year will see the return of the junior classes to the stage and I can’t wait to see what they get up to. 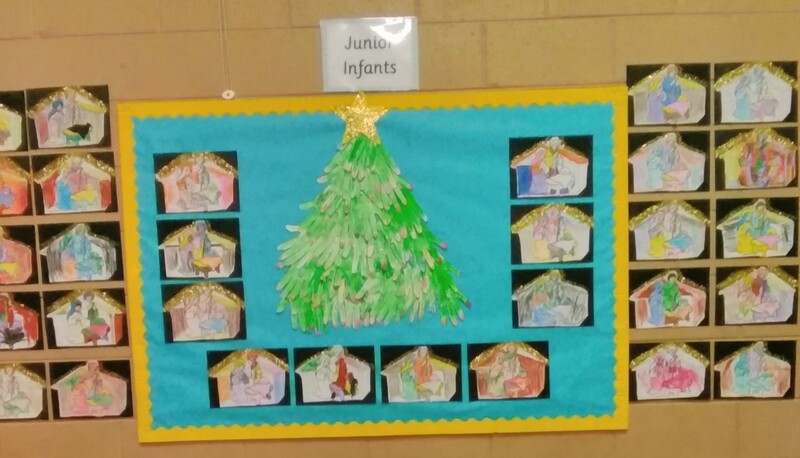 Junior Infant Nativity: well done to all our Junior Infant students who put on a great show for their parents and the whole school before Christmas. 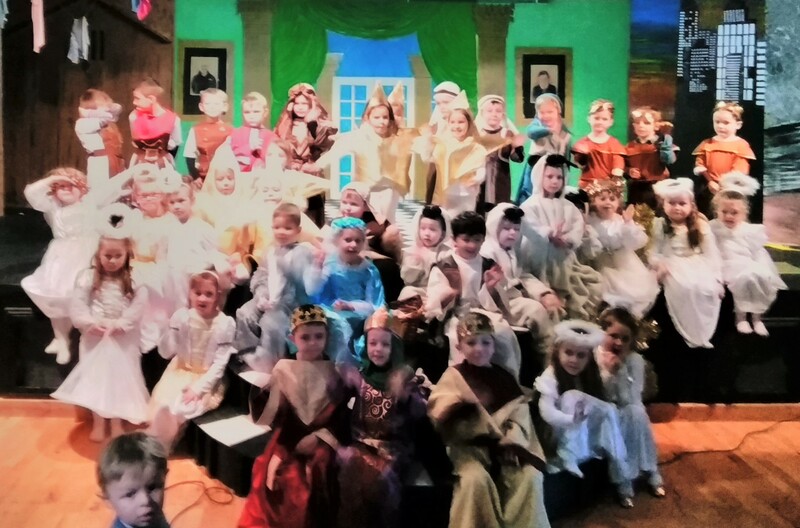 I am sure we have seen some future stars of our annual Corville school plays. 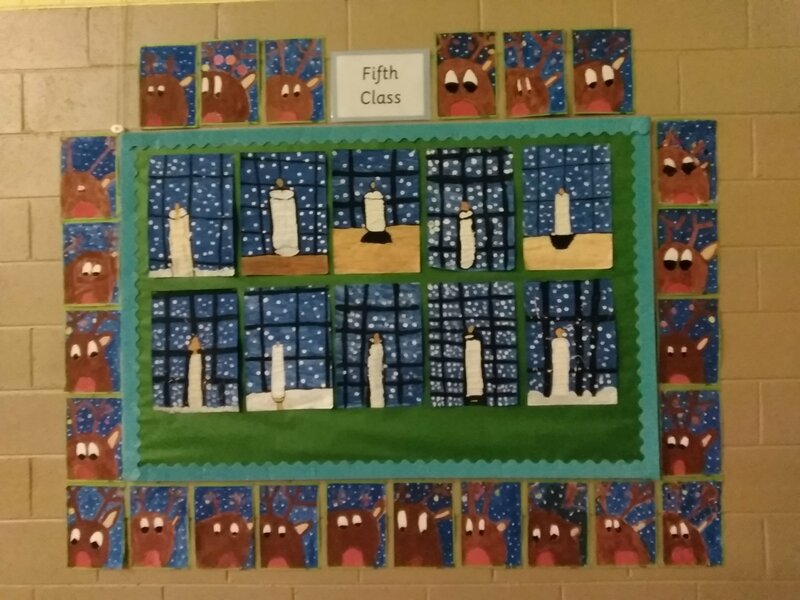 Thanks to Ms. McMahon and Ms. Darcy for all their hard work putting the Nativity together. 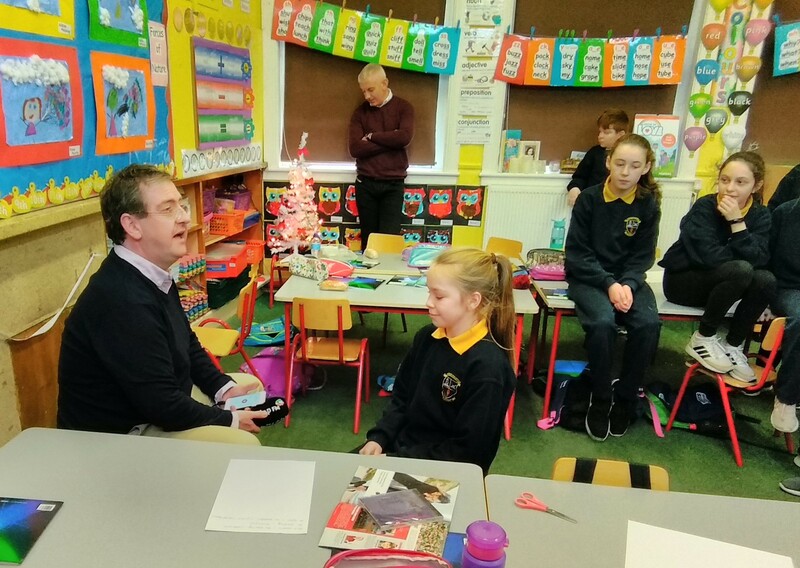 Corville on Tipp FM: to promote our school play ‘Annie jr’, we invited Tipp FM into the school to conduct some interviews and to listen to the stars of the play sing a song live on air. 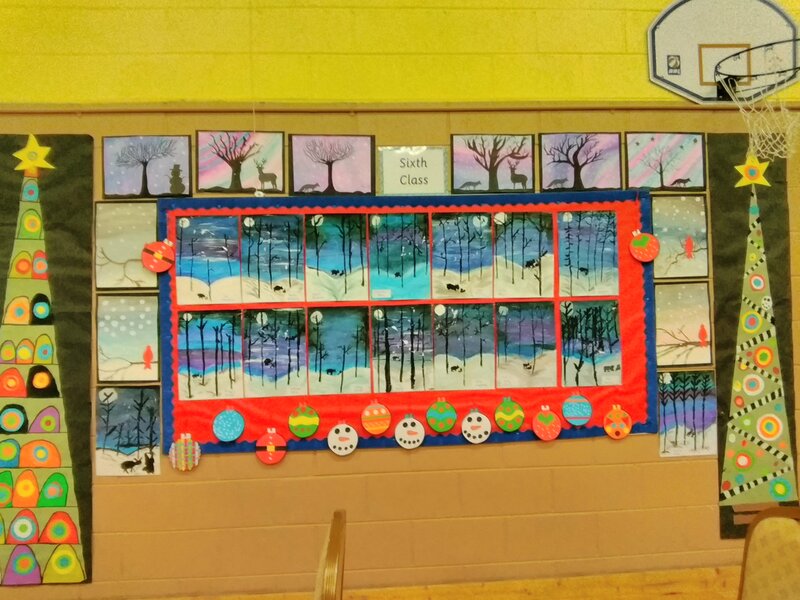 All the students and their teachers did a great job and we are super proud of them. 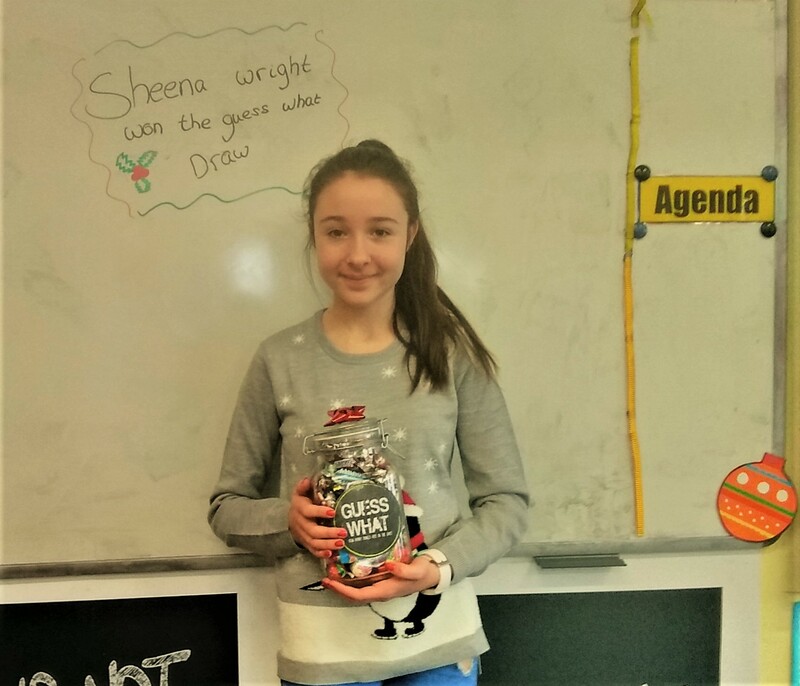 Fastest on the Draw: Quiz Finals – our annual buzzer quiz competition took place over the 6 weeks running up to the Christmas break. 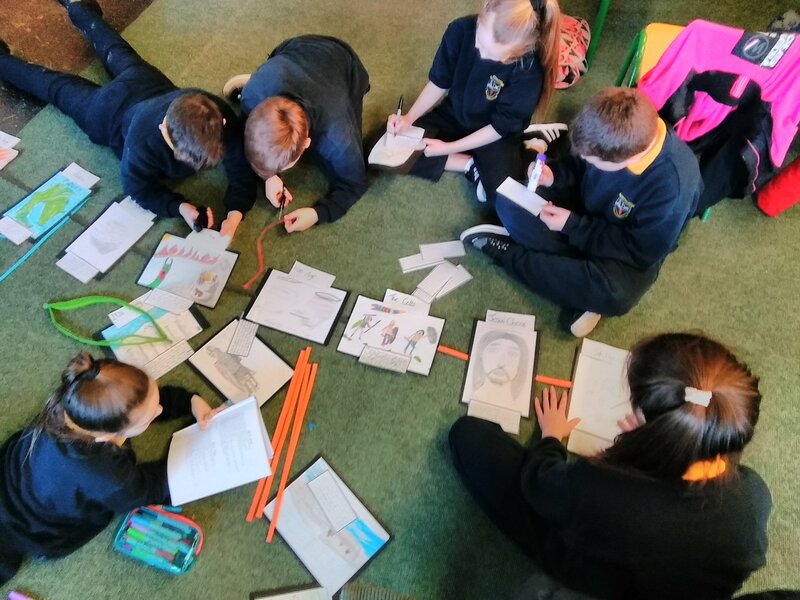 We had our largest entry yet with virtually every student from 3rd to 6th taking part in teams of 3. for the first time ever we allowed a team from 2nd class to enter the competition. 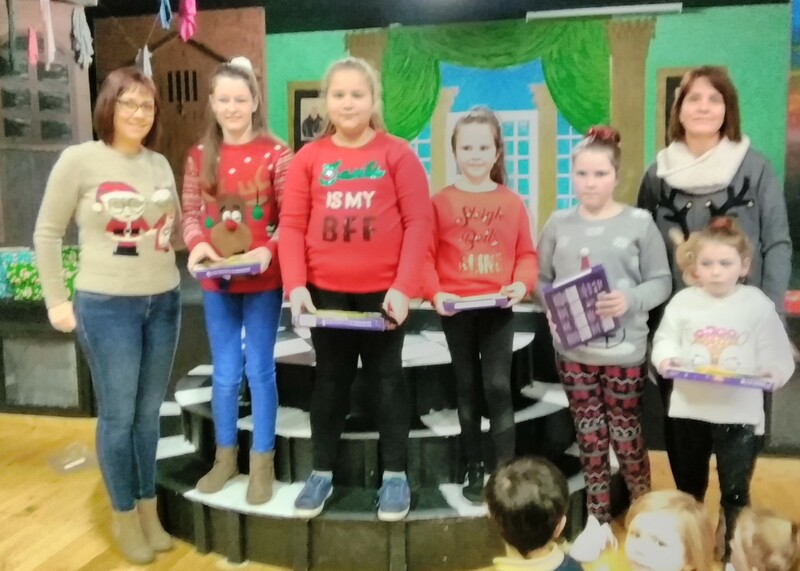 They were the winners of a previous competition held for 2nd class earlier in term 1. 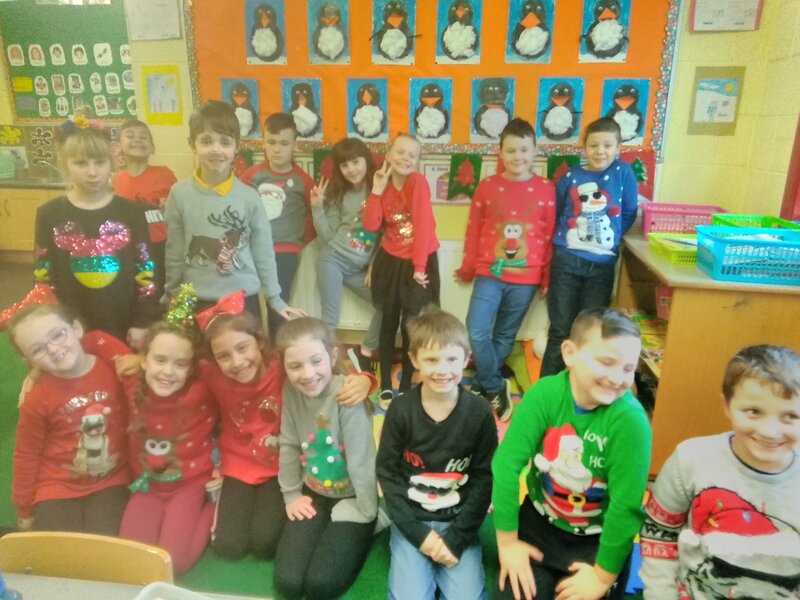 This team surprised everyone by going on to win the 3rd / 4th class competition. Well done to Conor, Darragh and Bobby who managed to beat the 3rd class team of Lexi, Molly and Jack. 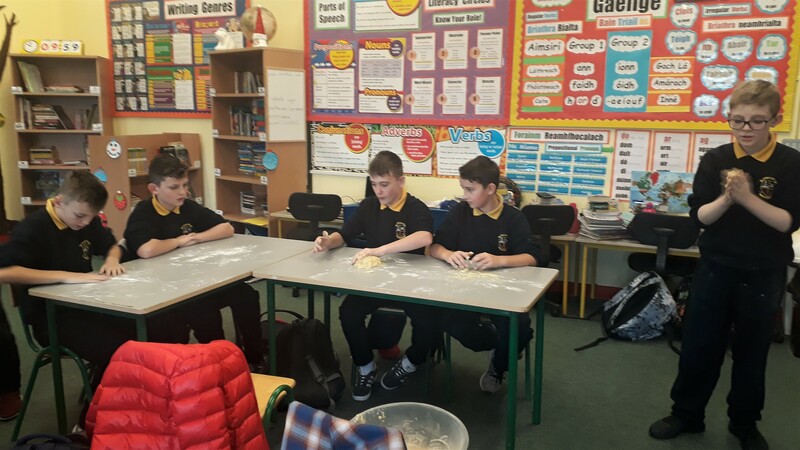 The 5th / 6th class competition had clear favourites at the start of the competition as the team of Senan, Karlo and Roy were the losing finalists from last year. It was no surprise when they battled their way through to this year’s final too. 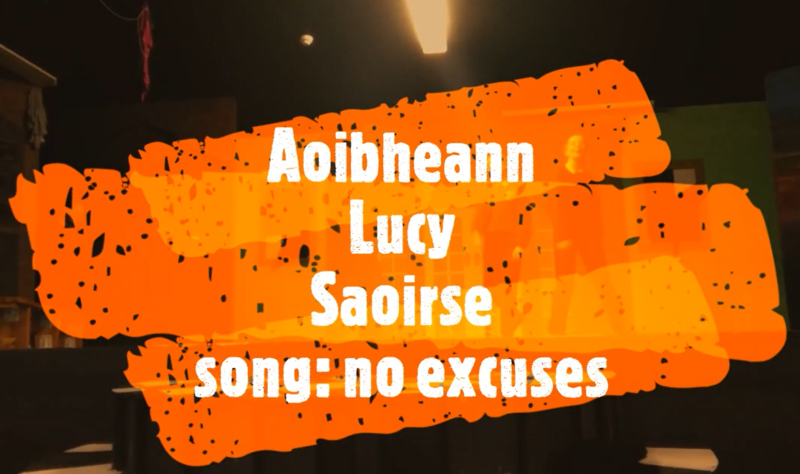 There they came up against the team of Ceola, Aoibhe and Cathy. In the end the 3 boys managed to win the competition and go one better than the previous year. Well done to everyone that took part. 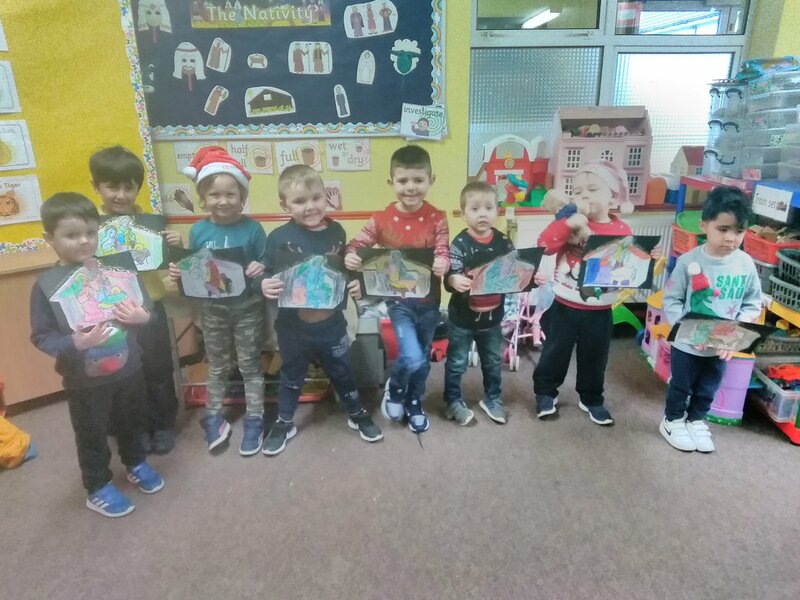 Christmas Displays: the hall was decorated for Christmas with each class putting up a display of the Christmas art they created in class. They all did a wonderful job. 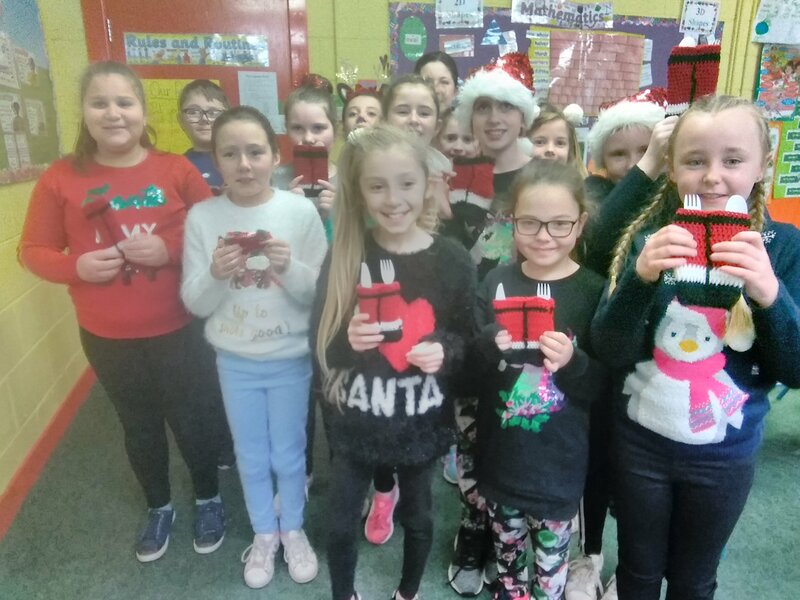 6th Class Blog: it was a busy few weeks on the run up to Christmas with school play preparation, Christmas art to do, students lessons and those dreaded Christmas tests! 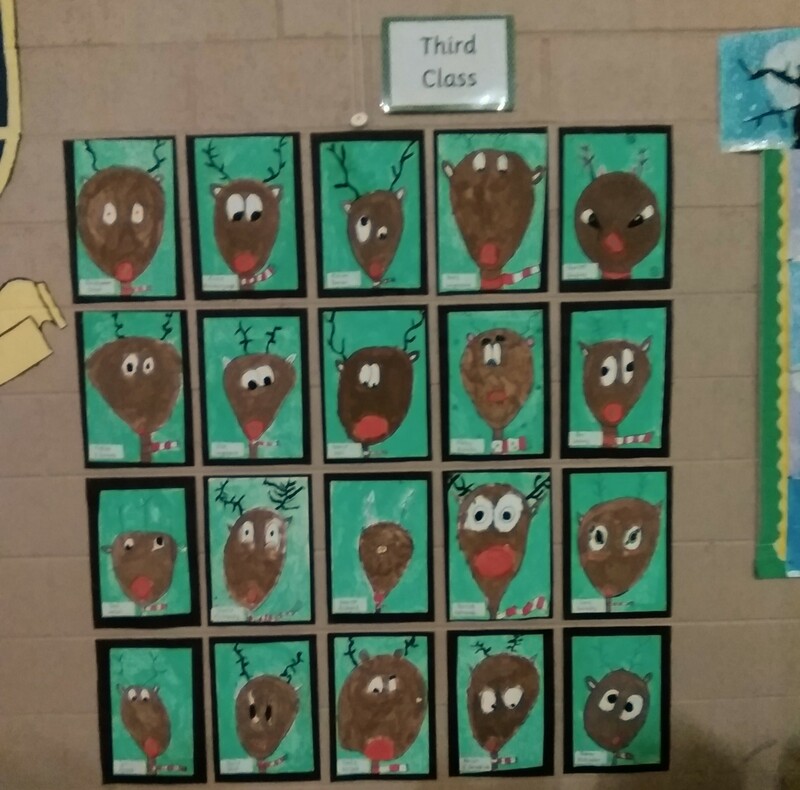 As always we log our activity in our class blog. Our New Year’s resolution – blog more!!!! 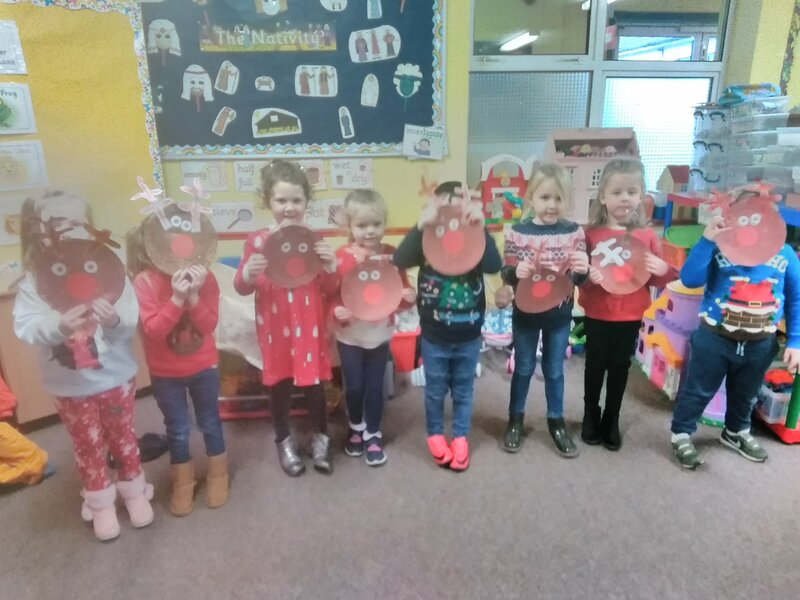 Below are a few photos to give you an idea of what they have been blogging about…..
Click here to find out whats going on in our Infant classes. 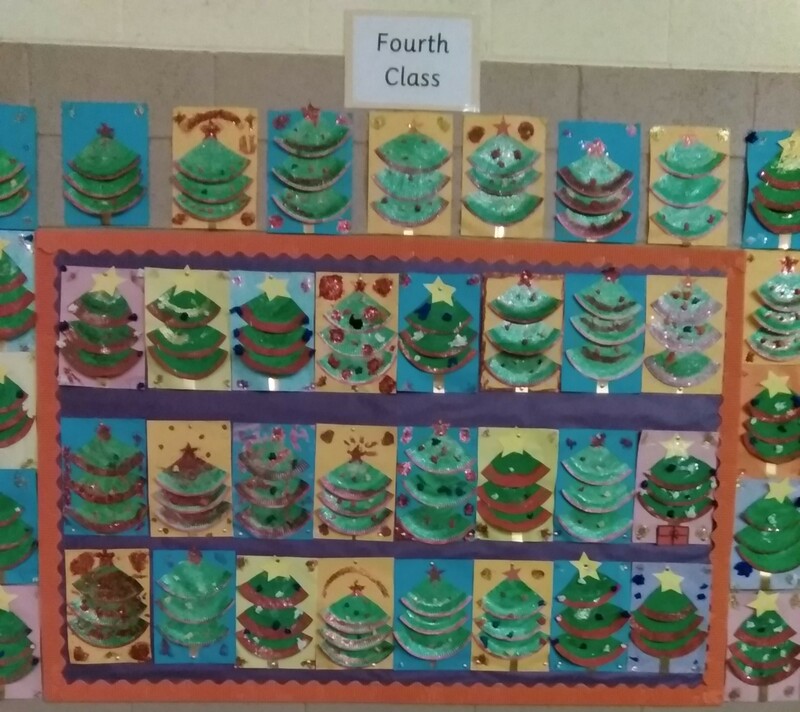 Click here to find out whats going on in our 4th, 5th and 6th classes.